Alfa Romeo today unveiled the limited-edition 2020 4C Spider Italia for North America, limited to only 15 vehicles. The 2020 Alfa Romeo 4C Spider Italia offers driving enthusiasts a mid-engine design inspired by the brand's legendary racing history and represents the essential sportiness embedded in the brand's DNA. 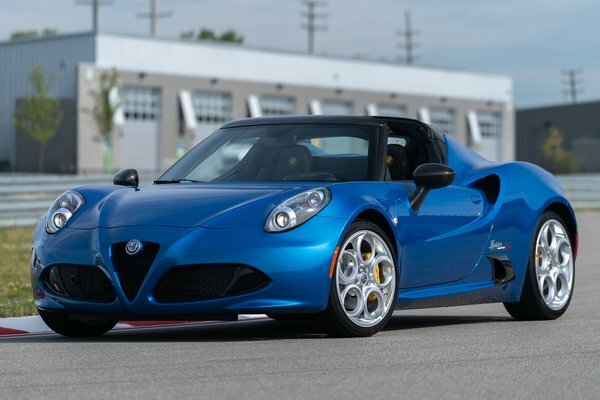 The limited-edition 4C Spider Italia's special standard features include: Exclusive Misano Blue Metallic exterior color (not available on any other 4C variant) Piano black front air intake and...Read.